Sukandar, E.Y., Kurniati, N.F., Fitria, V, 2014, “Evaluation of teratogenicity effects of ethanolic extracts of binahong leaves (anredera cordifolia (ten) steenis) in wistar rat”, Int J Pharm Pharm Sci, Vol 6, Issue 11, 2014, pp. 422-426. Hendriani, R., Sukandar, E.Y., Kusnandaranggadiredja, Sukrasno, 2014, “In vitro evaluation of xanthine oxidase inhibitory activity of Sonchus arvensis leaves”, International Journal of Pharmacy and Pharmaceutical Sciences, 6 (2), pp. 501-503. Suliska, N., Sukandar, E.Y., 2014, “The effectivity of captopril, losartan, and amlodipine on hypertension in rat model of gentamicin-induced renal failure”, International Journal of Pharmacy and Pharmaceutical Sciences, 6 (6), pp. 146-151. Sukandar, E.Y., Sudjana, P., Sigit, J.I., Leliqia, N.P.E., Lestari, F., 2013, “Safety of garlic (allium sativum) and turmeric (curcuma domestica) extract in comparison with simvastatin on improving lipid profile in dyslipidemia patients”, Journal of Medical Sciences (Faisalabad), 13 (1), pp. 10-18. Sukandar, E.Y., Sigit, J.I., Adiwibowo, L.F., 2013, “Study of kidney repair mechanisms of corn silk (Zea mays L. Hair)-binahong (Anredera cordifolia (Ten.) Steenis) leaves combination in rat model of kidney failure, International Journal of Pharmacology, 9 (1), pp. 12-23. Adnyana, I.K., Sukandar, E.Y., Setiawan, F., Christanti, Y., 2013, “Efficacy and safety O-desmethyl quinine compare to quinine for nocturnal leg cramp”, Journal of Medical Sciences (Faisalabad), 13 (8), pp. 819-823. Wardani, I.G.A.A.K., Andayani, D.G.S., Sukandar, U., Sukandar, E.Y., Adnyana, I.K., 2013, “Study on antimicrobial activity of Nocardia Sp. Strain TP1 isolated from tangkuban perahu soil, West Java, Indonesia”, International Journal of Pharmacy and Pharmaceutical Sciences, 5 (SUPPL 2), pp. 713-716. 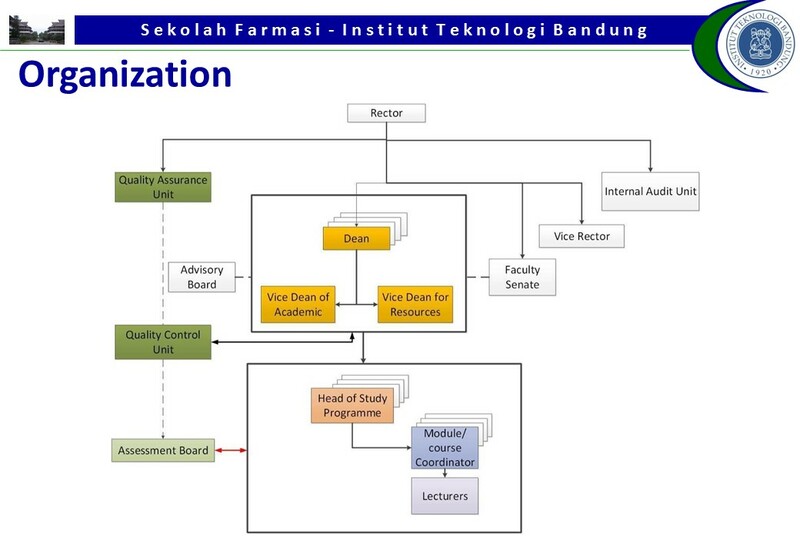 Sukandar, E.Y., Sukandar, U., Ketut Adnyana, I., 2013, “Characterization and identification of a soil Nocardia sp. TP-1 isolated from Indonesian volcanic soil”, International Journal of Pharmacy and Pharmaceutical Sciences, 5 (2), pp. 291-294. Sukandar, E.Y., Sigit, J.I., Adiwibowo, L.F., 2013, “Study of kidney repair mechanisms of corn silk (Zea mays L. Hair)-binahong (Anredera cordifolia (Ten.) Steenis) leaves combination in rat model of kidney failure”, International Journal of Pharmacology, 9 (1), pp. 12-23. Cited 1 time. Mulyani, Y., Sukandar, E.Y., Adnyana, I.K., Elfahmi, 2012, “Petiveria alliacea: New alternative for the treatment of sensitive and multi-resistant Mycobacterium tuberculosis, Journal of Pharmacognosy and Phytotherapy, 4 (7), pp. 91-95. Sukandar, E.Y., Nurdewi, Elfahmi, 2012, “Antihypercholesterolemic effect of combination of Guazuma ulmifolia Lamk. leaves and Curcuma xanthorrhiza Roxb. rhizomes extract in wistar rats”, International Journal of Pharmacology, 8 (4), pp. 277-282. Hasimun, P., Sukandar, E.Y., Adnyana, I.K., Tjahjono, D.H., 2011, “Synergistic effect of curcuminoid and S-methyl cysteine in regulation of cholesterol homeostasis”, International Journal of Pharmacology, 7 (2), pp. 268-272. Sovia, E., Sukandar, E.Y., Sigit, I., Sasongko, L.D.N., 2011, “Improvement of pancreatic langerhans islets by curcuminoid, s-methyl cysteine and its combination: An immunohistochemistry analysis”, International Journal of Pharmacology, 7 (3), pp. 410-414. Anam, K., Suganda, A.G., Sukandar, E.Y., dan Kardono, L.B.S., 2010, “Antibacterial Effect of Component of Terminalia muelleri Benth. against Staphylococcus aureus”, International Journal of Pharmacology”, 6(4), p. 369-374. 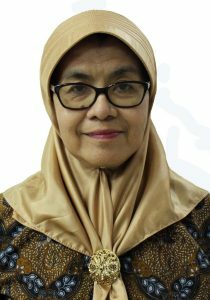 Elin Yulinah Sukandar, Hikmat Permana, I Ketut Adnyana, Joseph I. Sigit, Rikrik A. Ilyas, Patonah, Dewi mardiyah, 2010 , “Clinical Study of Turmeric and garlic Extracts as Antihyperglycemic and Antihyperlipidemic Agents in Type-2 Diabetes-Dyslipidemia Patients”, Article No.19233-IJP-ANSI, Article No.19233-IJP-ANSI, International Journal of pharmacology. Elin Yulinah Sukandar, Asep Gana Suganda, Gemi Utami Pertiwi, 2006, “Uji Aktivitas Antijamur Salep Dan Krim Ekstrak Daun Ketapang Terminalia Cattapa L Pada Kulit Kelinci”, Majalah Farmasi Indonesia, Vol 17 No 3. Tjandrawati Mozef, A. A. Soemardji, E.Y. Sukandar, H. Rachmawati, A.A.M. Kamps, and G. Molema, 2-Geranyl-2�, 3,4,4�-tetrahydroxychalcone from the leaves of Artocarpus altilis inhibits VCAM-1 and ICAM-1 Expression Medoiated by Decreasing Reactive Oxygen Species Level in Human Aortic Endothelial Cells., Symposium on networking and Technology Transfer, Bangkok (Thailand), 7-12 June 2010. Elin Yulinah Sukandar Afifah B. Sutjiatmo, Nur Puspita Sari, Diuretic Effect of Ehanol Extract of Anredera cordifolia (TEN) V. STEENIS in Wistar Rat, International Conference On Medicinal Plant, Surabaya, 20-22 July, 2010. Sukandar, E.Y., Sudjana, P. and Surialaga, S., Clinical trial of ginger rhizome and noni fruit extract as tuberculosis adjuvant therapy, The 10th Asian Conference on Clinical Pharmacy, July 9-12, 2010 Singapore. Elin Yulinah Sukandar, Nurdewi, Elfahmi, “Effect of Combination of Guazuma ulmifolia Lamk leaves and Curcuma xanthorrhiza Roxb rhizomes extract on Prevention Hyperlipidemia in Wi star rats”, International Herbal Conference 2009, Bangalore, India, 26-28 Februari 2009. Patonaha, Elin Yulinah Sukandara, I Ketut Adnyanaa and Aldo Grefhorstb, “Transcription Factors Involving in the In Vitro Curcuminoid Effects on Hepatocytes”, Bandung International Conference on Medicinal Chemistry 6-8 August 2009. Paten Indonesia, P0020044400578, Kombinasi ekstrak kunyit (Curcuma domestica) daan bawang putih (Allium sativum) sebagai antihiperlipidemia dan antidiabetes (status P).